Nipun Jayatissa '19 was selected as a 2018 finalist for the Massachusetts Institute of Technology (MIT) THINK program, an annual science research and innovation competition for high school students. His research proposal was selected as one of six finalists out of over 175 proposals received from students around the country. 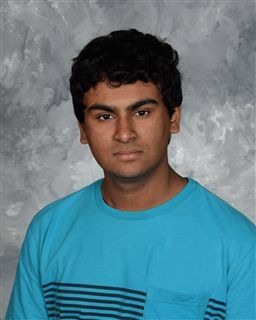 On April 7th Nipun attended The Buckeye Science & Engineering Fair at COSI in Columbus and he has been selected as a finalist to present his research project for The Intel International Science and Engineering Fair (Intel ISEF) in Pittsburgh, PA on May 13- May 18. Congratulations Nipun!